Tecno Mobiles in on a roll at the moment. 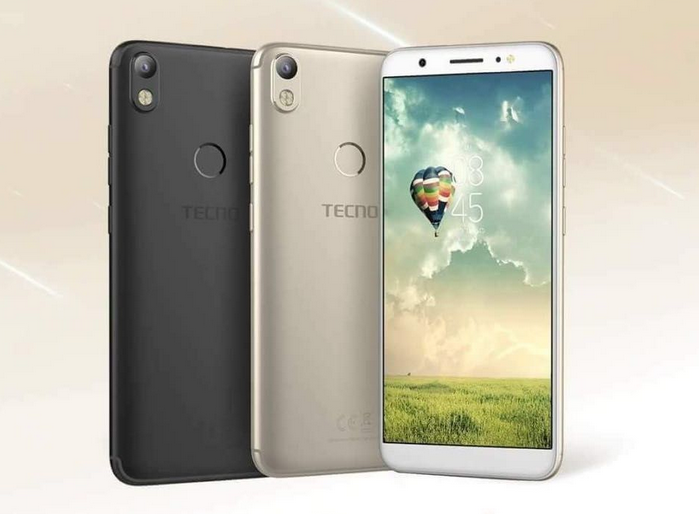 The company today silently introduced a new budget smartphone- the Tecno Camon i Air, as a stripped down version of the earlier launched Camon i smartphone. The smartphone offers same specifications as the Camon i, except for the lower RAM and storage. The Camon i Air is priced at Rs 7,999, and it’s already listed on Airtel’s official website under the Airtel VoLTE supported category alongside the Camon i.
Tecno Camon i Air Specifications and Features Aforementioned, the Camon i Air offers similar specifications as the Camon i, apart from the downgraded internal storage and RAM. The phone offers a 5.65-inch HD+ display with an 18:9 aspect ratio on the front. The display has a resolution of 1440 x 720 pixels and 2.5D curved glass on top. At the heart of the phone, there’s a 1.3GHz quad-core MediaTek MT6737H processor, coupled with 2GB of RAM. The device comes with 16GB of internal storage, but thankfully, there’s a microSD card slot for storage expansion. Also, the device is backed by a 3050mAh battery and runs Android 7.0 Nougat out of the box. Like the Tecno Camon i, the Camon i Air also comes with a quad LED flash at the back of the phone. At the rear, there’s a 13MP camera, and at the front, we get an 8MP camera with support for an LED flash too. The device comes with all the basic sensors such as the Ambient Light sensor, Proximity sensor, G-sensor etc. Tecno has placed the fingerprint sensor at the rear side within reach of the index finger. Connectivity options in the smartphone include 4G VoLTE, Wi-Fi 802.11 b/g/n, Bluetooth, GPS, and a micro USB port charging and data transfer. Tecno Camon i Air Pricing and Availability The Tecno Camon i Air is priced at Rs 7,999, and this news is tweeted by Mumbai-based retailer Mahesh Telecom. So maybe the smartphone will be available in just offline stores like the Tecno Camon i. For the asking price, the device offers decent specifications, especially in the offline market where the market is filled with phones from Samsung, Oppo and Vivo. The Camon i Air is already available in the offline stores for purchase.